Since 1893, the Romeo Guest Associates, Inc. team has been building within a variety of markets providing exceptional design-build, construction management, preconstruction and general construction services in the South. We make it our goal to offer the best commercial construction services in Durham, NC and the surrounding areas. When your school or institution plans for a construction project, you want the job to be done right the first time. From fine arts buildings to activity centers to classrooms, the professional staff at Romeo Guest has a broad range of experience to meet your construction needs. Our management team is attentive to every project, and we’re known across the state as detail-oriented construction experts. If your school or institution is searching for a great builder, look no further than Romeo Guest. Trust our commercial construction experts to provide you with a beautiful structure for your university or institution in Durham, NC or beyond. Reach out to us today at 919.683.1701 to learn more or to begin your construction project. 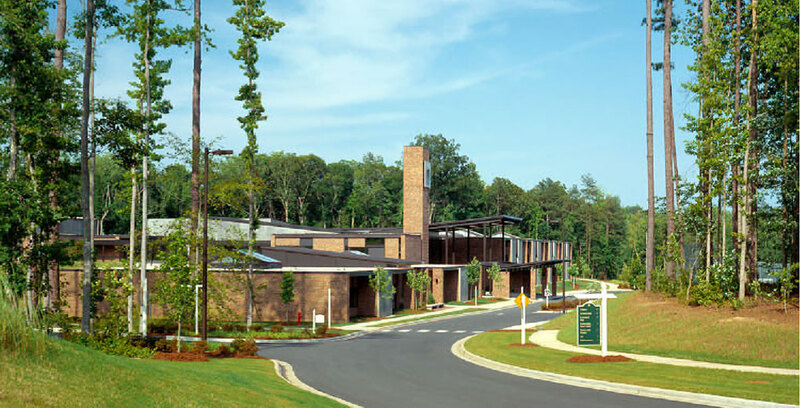 Romeo Guest Associates, Inc. builds institutional and educational buildings in Durham, NC and throughout the Triangle, including Raleigh, Research Triangle Park and Morrisville, NC.